On July 12, 2016, CincyIP welcomes Joshua Lorentz (Dinsmore & Shohl), John Davis (Wood Herron & Evans), and Angela Haughey (The Proctor and Gamble Co.) to discuss practice tips and strategies for Inter Partes Review. Nicholaus Rericha (Dinsmore and Shohl) will be moderating the panel discussion. 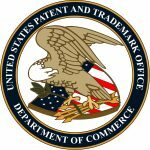 Inter Partes Review (“IPR”) is an America Invents Act trial procedure conducted at the Patent and Trademark Appeals Board to review the patentability in one or more claims in a patent. An IPR proceeding is an attractive, potentially lower-cost, alternative to patent litigation. The Panel will discuss the mechanics of a typical IPR proceeding, as well as practice tips and strategies for each stage of the proceeding. The panel will also discuss strategies regarding when to file an IPR proceeding and the costs involved. The Panel will also receive questions from the audience. As Chair of Dinsmore & Shohl’s Intellectual Property Department, Josh helps companies and innovators make intelligent decisions about their intellectual property rights and protect the ultimate value of their business — from IP prosecution to IP audits/due diligence to IP litigation and licensing, Josh’s work spans a variety of technologies, including chemical/materials, electrical engineering and computer arts. He has tried IP litigation matters to decision, conducted claim construction (Markman) hearings, led and consulted in post grant proceedings and represented clients before the U.S. Court of Appeals for the Federal Circuit. Josh also has unique experience in licensing matters, negotiating hundreds of technology agreements for multiple clients, including dozens of Cooperative Research and Development Agreements with National Laboratories and Research Agreements with Universities. John is a partner with Wood Herron & Evans LLP, and has appeared in federal courts from coast to coast, representing clients in a variety of copyright, trademark, trade dress, and patent litigations. Mr. Davis has represented clients in various matters before federal appellate courts, as well as before the U.S. Patent and Trademark Office (USPTO). Prior to joining WH&E, Mr. Davis served as an Attorney-Advisor for the Air Force Legal Information Services Agency, Maxwell Air Force Base, Alabama and as a Staff Attorney for the United States District Court for the Eastern District of Virginia. Mr. Davis is a member of the Air Force Judge Advocate General (JAG) Corps Reserve where he holds the rank of Colonel. As a reservist, he has appeared in the military courtroom and has provided legal technology training at the Air Force JAG School, the Army JAG School, and at various military installations throughout the country. Angela is Senior Counsel for The Procter & Gamble Company, where she is currently Global Innovation Counsel for a 9 billion dollar hair care business which includes such brands as Pantene, Head and Shoulders, Herbal Essences, Aussie and Rejoice. Angela has worked as patent counsel for P&G for 13 years, prior to that she worked in R&D at P&G. She has experience in providing legal counsel regarding a broad range of matters including global patent procurement (utility and design) and prosecution, patent litigation, IPRs, European opposition proceedings, global freedom to practice, IP strategy, complex agreements (e.g. joint development, master collaboration, settlement), licensing and divestiture. Angela received her law degree from the University of Cincinnati in 2003. Nick is a Partner the Intellectual Property Department, focusing his practice on patent preparation and patent prosecution, as well as invalidity and non-infringement opinions. His practice includes a wide variety of technological areas including robotics, material processing, optics, circuit design, control systems, software, computer science, automotive, power semiconductors, nanotechnology, among others. In addition, Nick’s practice also includes e-commerce, privacy, and licensing. Prior to becoming an attorney, Nick was an electrical engineer at TRW in Elyria, Ohio and the Nordson Corporation in Amherst, Ohio.